To Edit a Report, Label or Layout within Infusion. To monitor variances within your Infusion Software, run on a regular basis (weekly minimum) the System Verification Report (Admin / System Reports menu). Any variances are highlighted on the report and should be investigated and dealt with in a timely fashion. All references to Customer(s) below apply to Supplier(s) as well. Run from Admin / System Reports / Check for Partially Posted Invoices Report (this only applies to Customers) If anything shows up on here please call your Partner or Support Staff to have it Repaired - Not all transactions need to be repaired but please check. Confirm the variance by running a Customer Aged Trial Balance report (ATB). At the bottom is the total of the balances found by summing the individual Customer balances as well as the balance from the General Ledger. Look for a variance there. 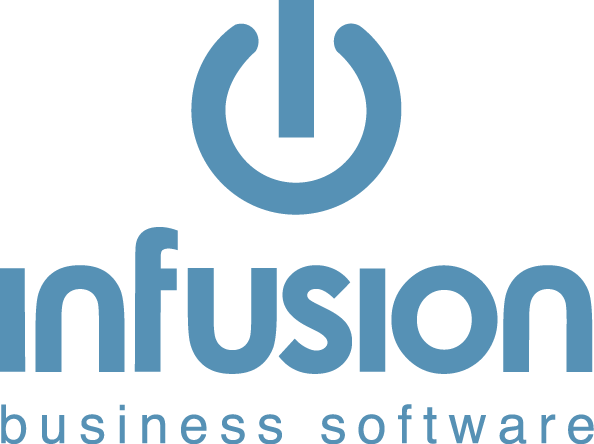 Infusion is a date driven system so forwarded Dated Transactions will show as a Variance. Establish if the variance relates to historical data which was converted or uploaded into Infusion or if the variance is a recent issue that has come to light. Run an ATB for the first date on which trading occurred using Infusion software and check if there was a variance then. If the variance goes back to the time of the initial install of Infusion then it is most likely that the initial loading of the General Ledger balances has not been done or not done correctly. The Certified Partner who assisted with the install will need to be given the opening balances from your old system or from your Accountant and will work with you to get the correct opening balances set up. If the variance occurred after the initial install, the first step is to find the date on which a variance first occurred. See below for hints on how to use binary searching to find the first variance date. Check the Financial Control links settings to learn what the Customer and Supplier Control accounts are. (Admin \ Defaults \ Manage Financial Control Links menu). Run a Customer Transactions By Type report for the date of the first variance and compare that to a Transaction Detail report for the Customer Control account for the same date. Confirm that each and every transaction which has affected a Customer’s balance has a corresponding entry in the Customer Control account. If all transactions appear on both reports then run the Aged Trial Balance for the Customers for the day before the variance and the date of the variance, and using the Customer Transactions by Account report for that date confirm that every Customer’s balance has been affected appropriately by the transactions on that account. If the problem has been caused by a journal which has been made to the Customer Control account (a warning would have been issued) then a reversing journal entry should be made. Otherwise you will have found transactions that have not gone to both a Customer account and to the General Ledger’s Customer Control account OR you have a situation where the balance on an account is being affected by an unusual situation. These scenarios can happen if a system error has occurred at the time of processing the transaction or if corrupted data has somehow got into the system. It will normally require a Certified Partner or Infusion Support Staff to assist in repairing the data. Always run a GL Integrity check first. Financials \ Utilities \ Check G/L Integrity menu. Repair / fix any errors noted in the report – i.e. make sure all accounts total into a totalling account and that the totalling account is below the first account in the Chart of Accounts. After making any changes always re-run the integrity check and re-run a Trial Balance to check if the variance still exists. Run a Financial Transaction Audit report (Admin \ System Reports \ Financial Audit Check). This will identify any transactions where the debits do not equal the credits. It may list numerous imported payroll transactions because the individual lines are assigned to separate journals. Ignore these if you can confirm that the total of the cluster of journals is correct. Run a Trial Balance for each of the financial years that are stored in Infusion (2 prior years, the current year and the next year). See the information below about Binary Searching as it relates to Financials. If the variance relates to historical data which was converted or uploaded into Infusion, i.e. the opening balances for the first year are not equal to zero, then it is most likely that the initial loading of the General Ledger balances has not been done or not done correctly. The Certified Partner who assisted with the install will need to be given the opening balances from your old system or from your accountant and will work with you to get the correct opening balances installed. If you have found transactions which are out of balance (and should have been found in the Financial Audit Check) or there is a transaction where a line has gone to a non-transactional account. You will require the assistance of your Certified Partner or Infusion Support Staff to resolve the transactions out of balance as Infusion will not allow you to deliberately create a journal that is out of balance. Where a transaction has gone to a non-transactional account modify the account and use the Swap G/L ID Utility (Financials \ Utilities menu) to put the transaction against the correct transactional account, and then restore the non-transactional account to its former type. As for the Financials, but run the Cashbook / Reports / Cashbook Audit Trail and compare to the Transaction Detail Report and in most cases it will be a journal done directly to the GL Code and not processed via the Cashbook. Binary search means using the principle of splitting a time period (or other factor) into half, and then half again repeatedly, until you quickly pinpoint the date (or place) in which a change first occurred. Run an Aged Trial Balance (ATB) report. At the bottom there is the total of the balances found by summing the individual customer/supplier balances, as well as the balance from the General Ledger. Look for a variance there. Run the ATB for today and then for a date in the past, e.g. 1 year, 6 months or 1 month prior. If a variance did not occur in the oldest date, then select a date about half way between those two dates and run it again. Continue running ATBs until you have a single date on which you have a variance and where the ATB for the day before hand did not have the variance. There may be multiple days on which a variance occurred, i.e. the variance may go from $50 to $75 on one day, so you will be looking for a value of $25 on the second day. Normally we look for the very first variance and deal with that before tackling another variance. Often the variances have the same fundamental cause so isolating the first variance is usually the best/quickest option. i.e. the opening balances total to zero, the debits and credits are equal, and the closing balances total to zero. It may be necessary to repeat the report for a narrower date range until you isolate the first date on which a variance occurs. If the opening total is not zero and this is the first year of processing in Infusion then the initial set up is not complete. If the opening total is not zero and the closing total for the previous financial year was zero, then the Chart itself is not correct, i.e. the adding up and rolling over of year-end balances is not set up correctly. How Do I Enter Opening Balances in the General Ledger ?